Longtime board members Julie Lomoe and Robb Smith are no longer on the board and no longer have any direct involvement or responsibility with the Memorial Society. The Memorial Society is still a viable organization with over 1,000 members. Our data base has been updated and will be kept current. If you joined in the past, you are considered a lifetime member in good standing. We continue to accept new members, and contributions are always welcome. But most of all, we encourage people to step forward and volunteer so that we can continue our good work. Although we continue to provide a list of funeral homes that have been participating providers in the past, we no longer maintain written contracts with them. As has always been true, prices are subject to change without notice. We can no longer guarantee outdated prices that may be quoted in current or former materials, nor can we become involved in your negotiations with these funeral homes. In general, these funeral homes honor our long-term relations with them, and it may still be advantageous for you to mention that you are a Memorial Society member. If they request validation of your membership, please contact us by email at memsoc1@nycap.rr.com. After a decade of involvement with the Memorial Society, first as Administrator and then as President, it’s time for me to say good-bye. I continue to believe in the vital importance of the issues the Society addresses, but I’ll turn 75 this year, and it’s time for others to step forward and take the reins. I’d like to thank the many wonderful people I’ve worked with and gotten to know over the years, including Board members and people involved with the national Funeral Consumers Alliance, especially the indefatigable Josh Slocum. 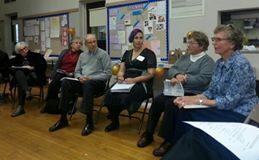 I’ve been moved and impressed by the folks I’ve talked with by phone, who shared their stories and experiences of coping courageously and often painfully with end-of-life issues. The time has come for me to turn full-time to my late-life career as a novelist. If you’d like to keep in touch, please check out my blog at www.julielomoe.wordpress.com. Calling all members and friends to our annual meeting! Sunday, November 8th from 2:00 to 4:00 p.m.
At our business meeting, we’ll discuss the Memorial Society and its future direction, and hold elections for Board members. Then we’ll talk about funeral prices and how to do your homework and make decisions before the need arises. DIRECTIONS: FUUSA is on Washington Street at the corner of Robin Street. We’ll be meeting in room B8, which is easily accessible by elevator. PARKING is available on the streets surrounding FUUSA. You can also park in the SUNY lot to the south directly across Washington Avenue. REFRESHMENTS AND NETWORKING will take place after the meeting. Everyone is welcome. Join us at our annual meeting this Sunday, November 8, from 2:00 to 4:00 p.m. We’ll be discussing the following topic, which we’re reprinting from the website of the Funeral Consumers Alliance at http://www.funerals.org. The report was released in October. Washington, DC – Today, the Funeral Consumers Alliance (FCA) and Consumer Federation of America (CFA) released a report based on a national survey of the prices and price disclosures of a representative sample of 150 funeral homes from ten different regions of the country. The survey revealed significant price differences – for example, from $2,580 to $13,800 for a full-service funeral — and the failure of most funeral homes to disclose their prices adequately: Only 38 of the 150 homes (25%) fully disclosed prices on their websites, while 24 (16%) failed to fully disclose prices both on their website and in response to an email and a phone call. “Most funeral homes need to give consumers much better access to price information,” said Josh Slocum, FCA’s Executive Director. “The Federal Trade Commission should update antiquated disclosure rules developed in the pre-Internet 1980s, just as California has successfully done,” he added. For example, California requires funeral homes to disclose on their websites the same prices the FTC requires funeral homes to disclose by phone or in an in-person visit. Thirteen of 15 surveyed California funeral homes fully disclosed prices on their websites. “The huge price ranges for identical funeral services within individual areas indicate that these markets lack effective competition,” noted Stephen Brobeck, CFA’s Executive Director. “The lack of price competition is unfortunate given the relatively high cost of funeral services and the reluctance of many bereaved consumers to comparison shop for these services,” he added. The research was undertaken this year by FCA with assistance from its local affiliates in Atlanta, District of Columbia, Philadelphia, Mercer Co. (NJ), Indianapolis, Minneapolis, Denver, Tucson, Orange Co. (CA), and Seattle. In each of these ten areas, 15 funeral homes were randomly selected for study, making certain that at least one home from any large chain was included. The researchers searched the websites of these funeral homes for price information. If the website failed to disclose prices completely, the researchers emailed the funeral home for these prices. If the email did not elicit the price information, the researchers phoned the funeral home. In several instances, a researcher visited the funeral home to obtain price information. Three types of service were priced – direct cremation without ceremony, immediate burial without ceremony or the cost of a casket, and full-service funeral including the following items: basic services of the funeral director and staff, transport of the body from place of death to funeral home, embalming, other preparation of the body, viewing or calling hours, funeral ceremony with casket present, hearse to cemetery, sedan or limousine for family, and graveside ceremony. . . Prices for the same funeral services within individual areas almost always varied by at least 100 percent and often varied by more than 200 percent. Researchers examined whether a complete general price list was included on the website of funeral homes. If the funeral homes did not do so, the researchers sent them an email requesting the price information. If the funeral homes failed to respond or responded inadequately, the researchers called them. Despite these efforts by researchers, some funeral homes did not provide any price information or provided this information only in a personal visit. The Federal Trade Commission’s Funeral Rule was issued in 1984 and amended in 1994. It requires funeral homes to provide only price information over the phone or a price list to those visiting the home. It does not require disclosure on the websites of funeral homes. FCA and CFA are submitting this research to the FTC and are urging the agency to update the Funeral Rule. Learn more this Sunday, November 8th, at 2:00 pm. or contact our President, Julie Lomoe, at (518) 441-5287. Please subscribe to this blog to be notified of further updates. Announcing our new contact information! THIS PHONE NUMBER IS NO LONGER IN SERVICE. WE WILL POST NEW CONTACT INFORMATION WHEN IT BECOMES AVAILABLE. SORRY FOR THE INCONVENIENCE. This service has many more features than our old one. Most importantly for you, it transcribes all messages into e-mails and sends them to us at our e-mail address, which is memsoc1@nycap.rr.com. We will check e-mails daily, so we’ll be able to return your calls much more promptly. The system is amazingly accurate, but please speak clearly and distinctly, giving your name, phone number, and the reason for your call. If you’re not sure whether you left all the necessary information or spoke clearly enough, feel free to call again to amend your message. Currently we’re using a generic message with an anonymous female voice, but we’ll update that soon. In the meantime, rest assured that this is the right number. We’ll be back soon with more news. 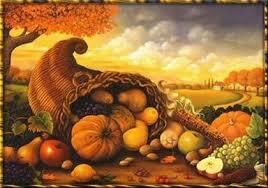 In the meantime, our best wishes for a wonderful Thanksgiving! 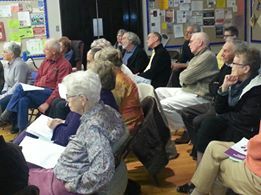 I counted 49 people at our annual meeting on Sunday, November 9, the best turnout we’ve had in several years. Maybe it was the promise of an anniversary party that did it, or the elegant postcard invitation, or the way we publicized it from the pulpit last weekend at the First Unitarian Universalist Society. In any case, the meeting was a success. We gained a couple of new members, and several folks came forward to express their interest in volunteering. The afternoon featured a look back at our history over the past 50 years and a look forward into our future. Martha Schroeder described the first meeting in 1964, which took place in Channing Hall, the very same room where we held yesterday’s meeting. Thirty people attended that night and agreed to launch the society, which grew rapidly in the early years to a membership of around 1,000. Jessica Mitford’s best-selling book The American Way of Death, published in 1963, had drawn attention to the unscrupulous practices then rampant in the funeral industry, and the Funeral Consumers Alliance, of which we became a chapter, was formed the same year. When Martha became a part-time secretary at FUUSA, the church supported the Memorial Society by donating space and making Martha’s work for our organization an official part of her job description. In the 1970’s, they cut back on their support, but for many years our “office” was a closet at FUUSA with a bright red dial phone and an answering machine. Over the following decades, many reforms came about in the funeral industry, in large part because of the efforts of advocates like our own society. Nevertheless, abuses continue to this day in terms of hard-sell efforts to entice funeral consumers to spend far more than they need to on coffins, vaults, and needless services like embalming, so our work is still very much needed. We elected and welcomed two new Board members. Strictly speaking, Hedi McKinley is’t new, because she served on our Board a few years back. She’s a Certified Social Worker with a strong interest in end-of-life issues. (She’s at the far left in the photo above.) Dr. Bernard McEvoy is Chairman of the Board at Vale Cemetery, where he’s been instrumental in founding The Vale, the first certified green cemetery in the immediate Capital Region. Bernie treated us to a presentation about The Dell, which is so green that rather than mowing, they bring in sheep and goats from Cobbleskill College to do natural landscaping. He’s great at community outreach; he’s done a lot for Vale in recent years and we trust he can bring the same energy to our organization. After hearing comments about the need for improvement in our online presence, and this blog site in particular, someone came forward after the meeting to volunteer his services as a web designer. So you can look forward to seeing some positive changes here in the months ahead. As we mingled over coffee, cider and our 50th Anniversary cake, we were delighted to hear much positive feedback about the meeting. I was especially pleased to ceremonially cut and devour the first piece of cake, a corner piece with an abundance of luscious buttercream frosting. Many thanks to our Board member Bobbi Place for donating the cake, and for Maryann Lettau for coordinating the festivities. Here’s hoping we can keep up the positive momentum generated by this meeting! 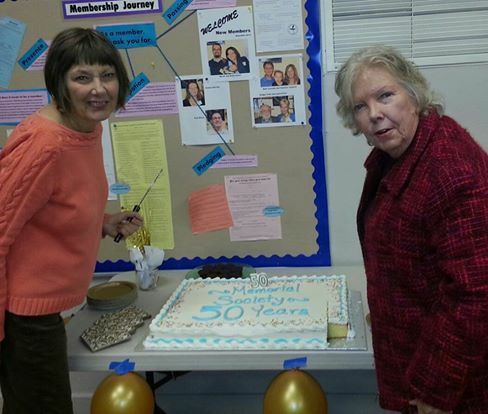 Maryann Lettau and Julie Lomoe cut the cake! Come to our 50th anniversary celebration this afternoon! 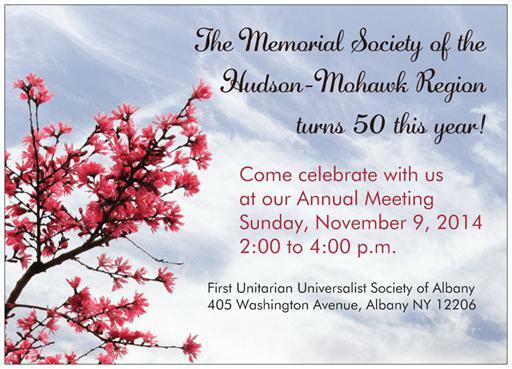 This afternoon, Sunday, November 9th, we’ll be celebrating our 50th anniversary with cake, cider, and interesting conversation at our Annual Meeting at FUUSA. Get the details in the invitation below. We’ll be reminiscing about our first fifty years and discussing where we go from here. Learn why our mission is still important and how you can save significant amounts of money on funeral costs. We hope to see you there!